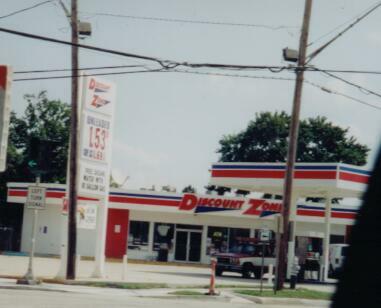 Discount Zone in New Orleans, LA. and recently took over EZ Serve locations. This one is at Clearview Pkwy and W Metarie Blvd. 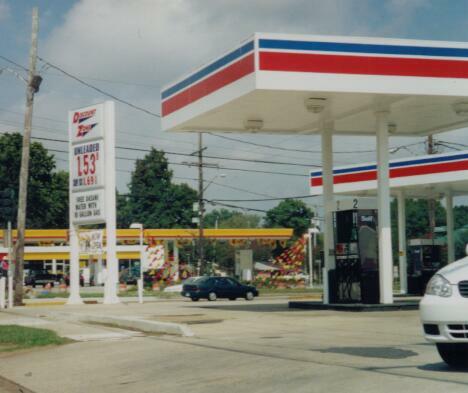 Photos taken by Paul Huerkamp, August 2003. 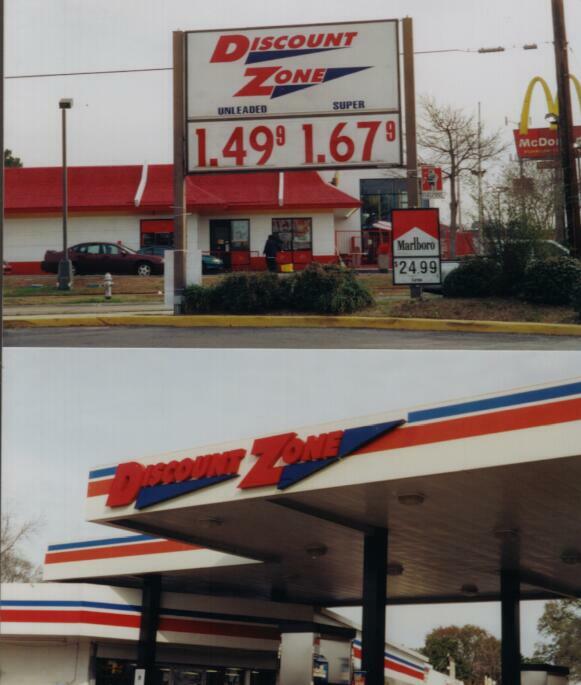 Discount Zone on Veteran's and Green Acres in Metarie, LA. Another successor to EZ Serve, taking over 25-30 locations in 2002.